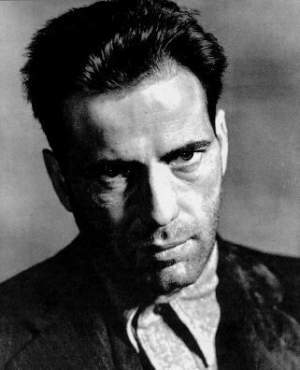 Bogart as Duke Mantee in THE PETRIFIED FOREST (1936). A still from one of Bogie's best known films, John Huston's THE MALTESE FALCON (1941) also featuring Mary Astor and Peter Lorre. This was the first of six films Bogie made with Huston. 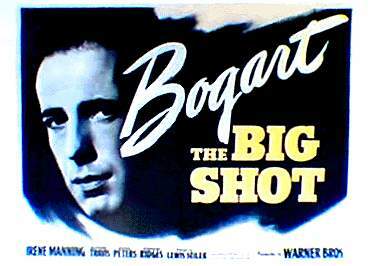 A poster from THE BIG SHOT (1942), a Warner Brother's B-movie. 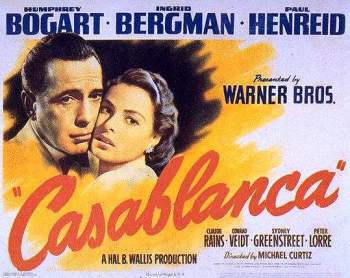 A poster from the Best Picture of 1942, CASABLANCA. This classic love story is full of intrigue, witty dialogue, and a host of outstanding co-stars including Ingrid Bergman, Claude Rains, Paul Henreid, Sydney Greenstreet and Peter Lorre. 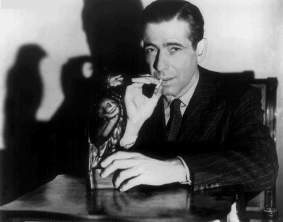 Bogart received the first of his three Best Actor Academy Award nominations for this film.